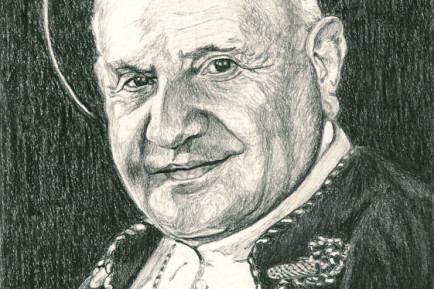 Pope John XXIII was known as the smiling Pope. If you visit Rome you can see his incorrupt body in St. Peter’s Basilica, with his Roman nose in all its glory. Good Pope John holds a special place in our family’s heart because we spent so much time praying at his tomb. I now work at the Blessed John XXII Diocesan Center. 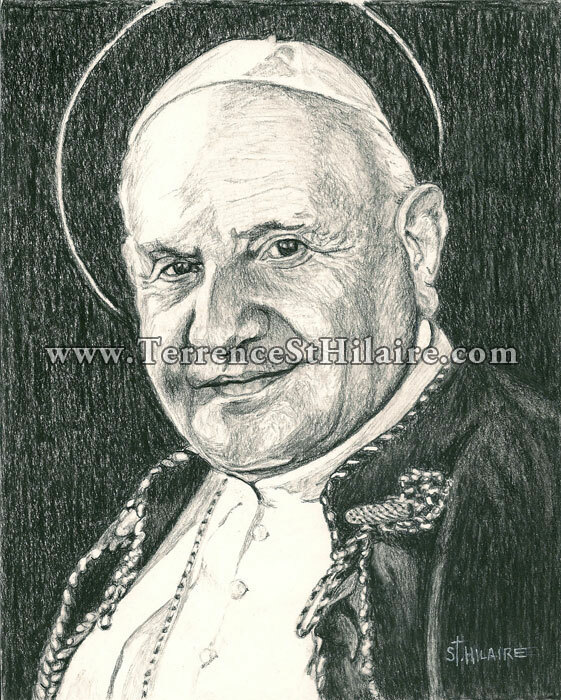 I completed this drawing in honor of his canonization, April 27, 2014.